The Reverend Markel Hutchins the visionary behind MovementForward, Incorporated and the One Congregation One Precinct (OneCOP) initiative. A renowned activist, professional speaker, businessman and social entrepreneur, he has led countless humanitarian causes over the past two decades. Often a "voice for the voiceless," he is among the nation’s leading voices on an array of issues including civil and human rights, social justice, peace and other matters of public concern. 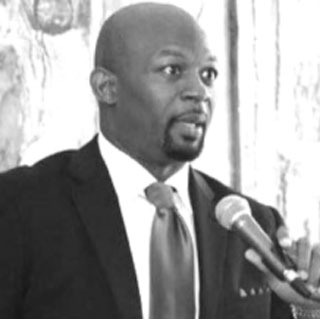 Ernest Andrew Brooks, III is an experienced executive for nonprofit, government, education and faith-based institutions. As MovementForward’s Senior Advisor, Ernest provides strategic advise as to every facet of MovementForward. Ernest also serves as corporate Treasurer and Chair of the Board of Councilors. Over the past decade, he has served in a variety of leadership roles with Fulton County (GA) Government, Morehouse College, the Martin Luther King, Jr. Center for Nonviolent Social Change, and other respected institutions. Ernest holds a bachelor’s degree from Morehouse College, masters' degrees from both Duke University and the University of Chicago as well as advanced graduate certifications in nonprofit management, philanthropic strategy and higher education administration. An ordained minister, Ernest and his wife Keneta reside in Atlanta with their dog, Duke. Dalton Wayne Cole is an experienced and highly-skilled technologist. As MovementForward’s technology guru, Dalton provides strategic leadership for the comprehensive technology interests of MovementForward, Inc. and associated portfolio initiatives. A native Georgian, Dalton was educated at Kennesaw State University. He has held management roles with several tech companies including Monotto, Equifax, Highpoint Solutions and SolePop, LLC. Samuel Taylor Wells is a graduate of the Georgia Institute of Technology where he earned a Bachelor of Science in Business Administration with a concentration in operations and supply chain management. In his role, Taylor provides direction for logistics and protocol functions to ensure the smooth running operations for MovementForward, Inc. and associated portfolio initiatives. His areas of professional experience include logistics, operations and consumer engagement. A native of Dacula, Georgia, Taylor and his wife Danyelle currently reside in Kennesaw with their young son, Jon. David Cho graduated with his Bachelors degree in Business Administration with a focus in marketing from J.Mack Robinson College of Business at Georgia State University. He then attended Hillsong International Leadership College in Sydney, Australia. David has since worked with many churches both domestically and internationally. David is responsible for coordinating relationships between local law enforcement agencies and the various houses of worship. As well, he is responsible for as coordinating the marketing and programming for MovementForward, Inc.